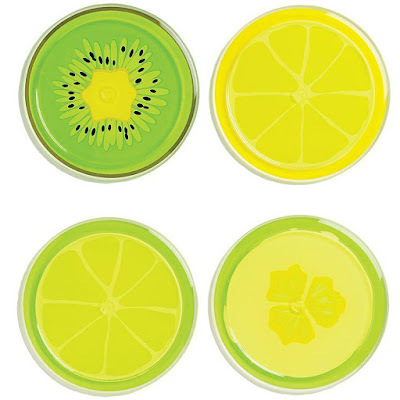 These drink coasters look great and are a must have with your chilled drink to protect your tables. 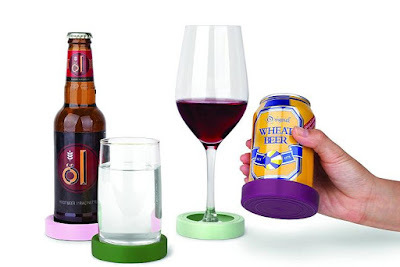 Grab and Go Coasters: The Grab and Go Coasters are designed to attach to your bottles, glasses, cans, and glasses and therefore follow you around. These coasters come in a set of four and in assorted colors. Buy Now: $7. 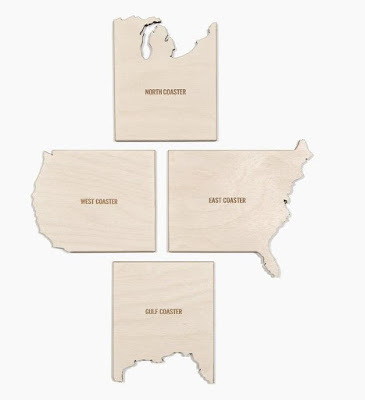 Great Coasters: The Great Coasters are all-terrain coasters that keep your drinks stable on uneven surfaces like sandy beaches, and more. These are perfect for beach, tailgating, BBQs, picnics, parties, lunches, and more. These hold variety of cans, bottles, cups or snacks and come in pack of 6. Buy Now: $14.99. 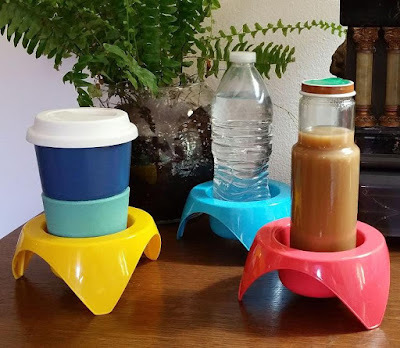 Two-in-One Wooden Coasters: What can be better than a coaster that prevents the formation of condensation rings, keeps your tabletop protected and even opens your beverage bottles? 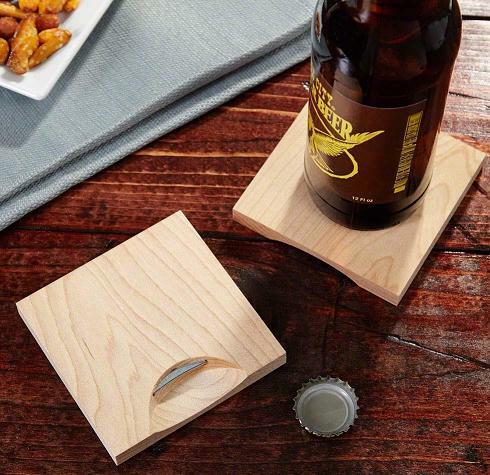 The Two-in-One Wooden Coasters are handcrafted from wood and features a built-in bottle opener underneath. 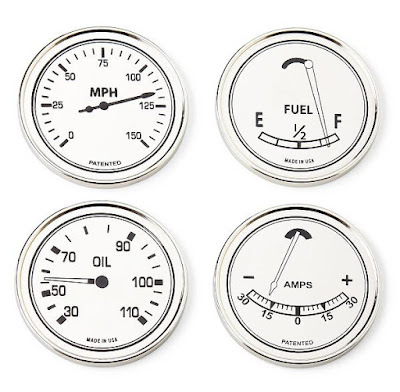 These measure approximately 3.5" x .5" x 3.5", and come in set of 4. Buy Now: $24.95. Godinger Race Coasters: The Godinger Race Coasters are perfect for any auto enthusiast; these come in 4-piece set, made of nickel-plated metal, and keeps your tabletop protected. Buy Now: $25.50. 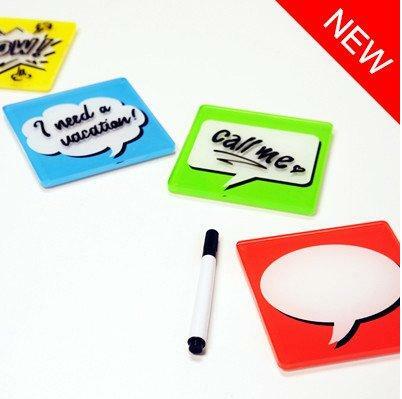 Rewritable Coasters: The Re-Writable coasters let you scribble your thoughts, you can write, erase and write again. This Bubble Text Coasters comes with erasable marker. Buy Now: $12.95. Instant Glass Coasters: The Instant Glass Coasters lets you use your own photos to personalize them. 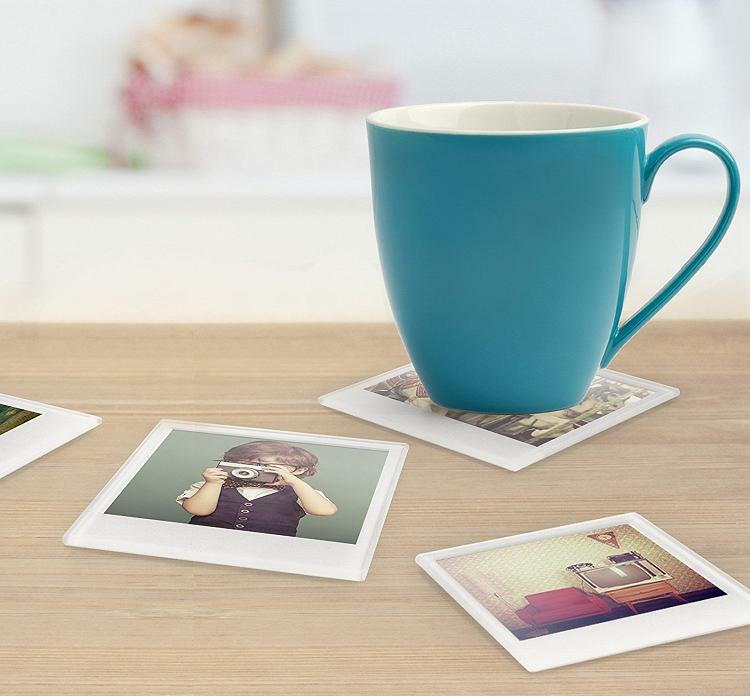 It comes in set of 4, features a provision to insert your favorite photos and protects your tables. Buy Now: $12. 4 Piece Mixed Coasters: This 4 coasters set consists of 4 different coasters in one set. It's made from solid Baltic birch wood, and measures 4 inches - 4.5 inches square. Buy Now: $32. 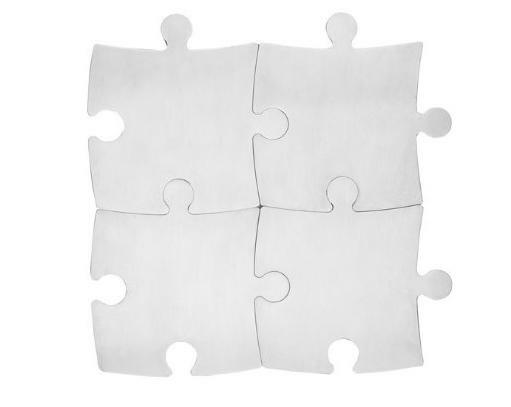 Puzzle Coaster Set: This cool puzzle inspired coaster set is made of stainless steel. Buy Now: $15. Bottle Coaster: The Bottle Coaster stays with the bottle and catches drops. 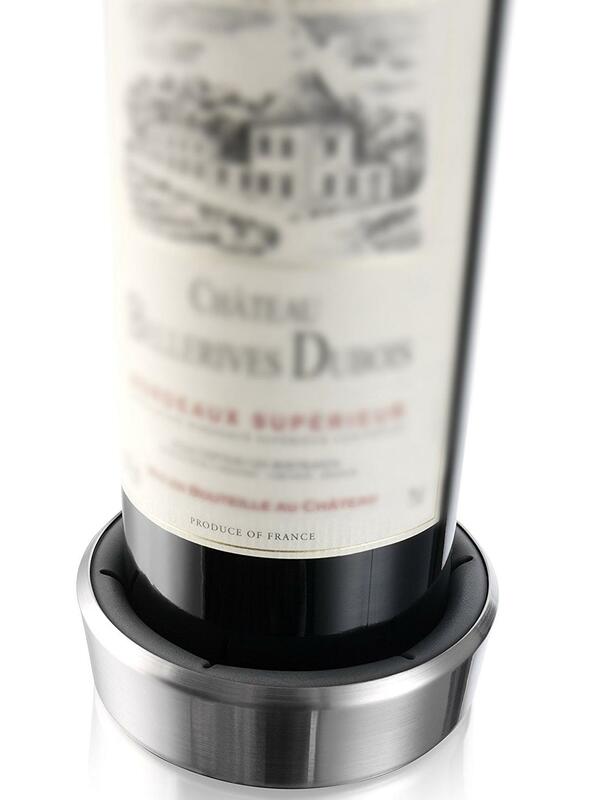 It protects your table from marks, scratches and prevents the formation of condensation rings on the tabletop. It works with most 750 ml bottles. Buy Now: $17.67. 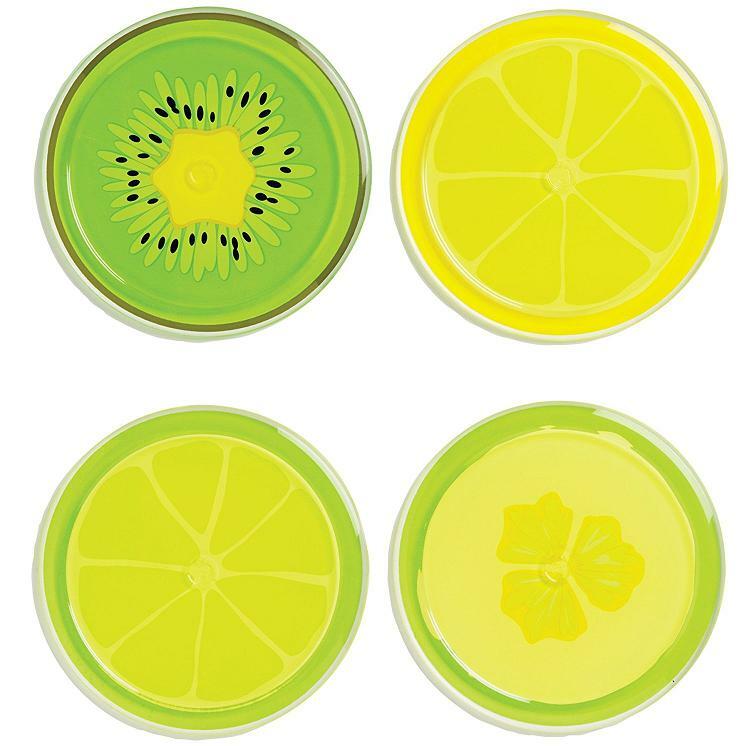 Fruit Coasters: The Fruit Coasters feature interior ridges, steadies your beverages and prevents the formation of condensation rings. Buy Now: $17.97. 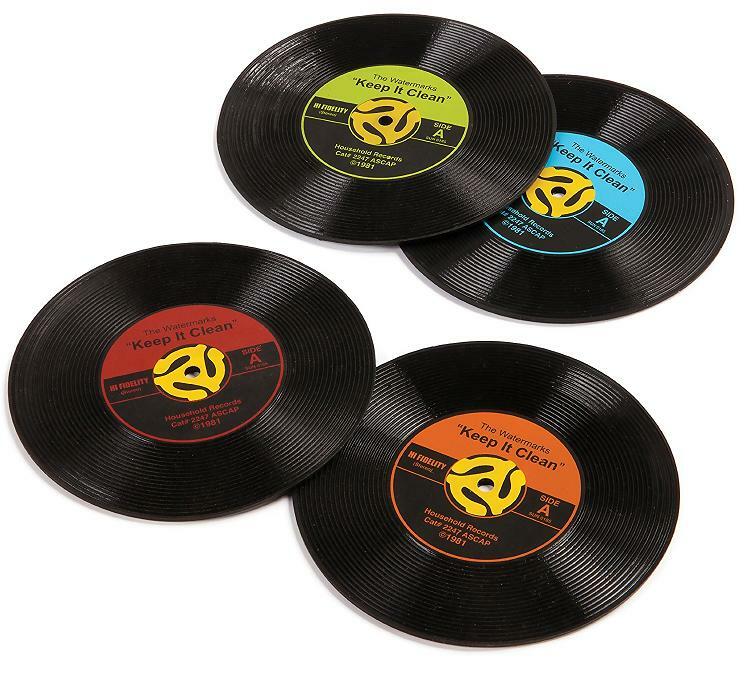 Record Coasters: These multi-colored record shaped coasters protect your table while displaying your preference for records. Buy Now: $10.61. 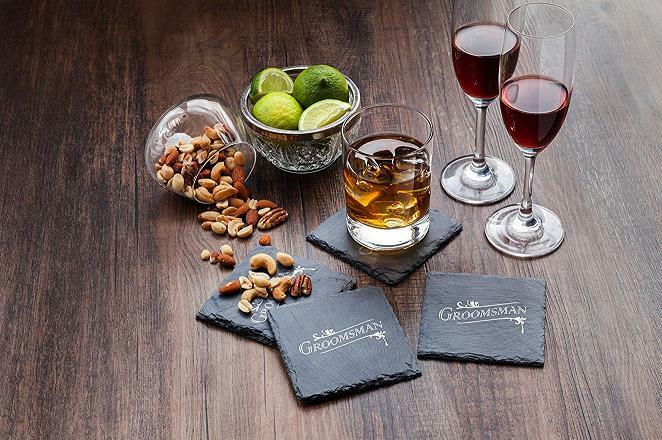 Slate Coasters: These naturally edged slate coasters feature protective backing that protects your tabletop, and prevents the formation of condensation rings. 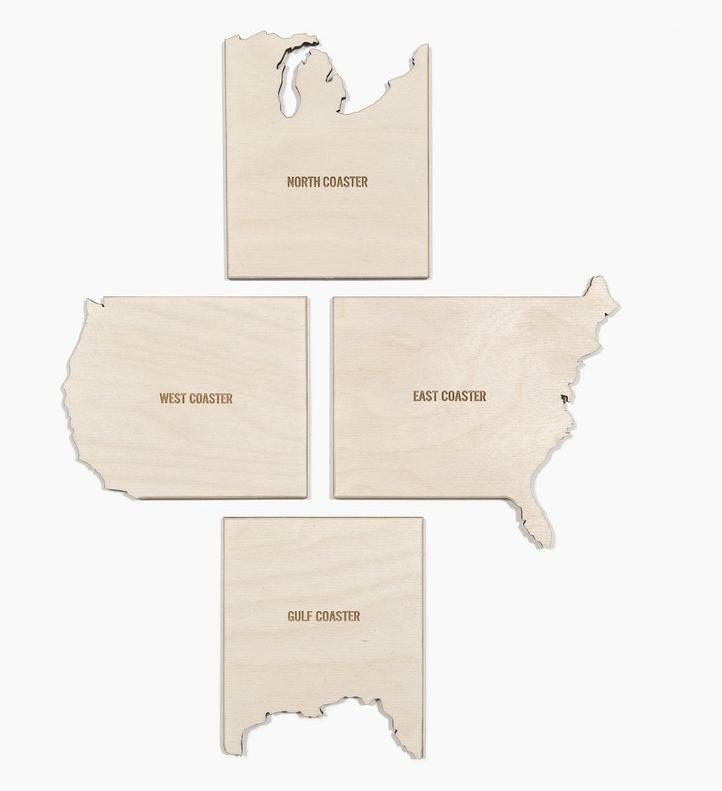 The set consists of four 4"x4" coasters. Buy Now: $8.96. Granite Coaster Set: The Granite Coaster Set is made from used countertop granite, features thick natural cork to contain condensation and prevent table scratches. 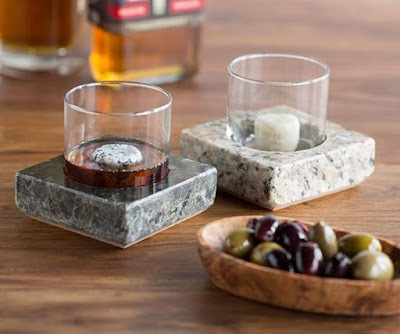 This set of 2 unique drink holders includes On the Rocks chill stones. Buy Now: $48. Copper Coasters: These copper coasters are woven together to create a design and no two coasters are ever the same. Apart from this, every viewing angle shows a different color spectrum from luminous gold, orange to deep burgundy and blue. Buy Now. Coasters: 1 | 2 | 3 | 4.